In previous articles, I’ve discussed the concerns that fundraisers and donors have about the as-yet still largely unknown impact of donor-advised funds (often referred to as DAFs) on the philanthropic economy, particularly their ethical and policy implications, and explored some of the advantages that DAFs offer, particularly to younger donors. In this article, I’ll discuss how fundraisers can approach discussions about DAFs with their donors. 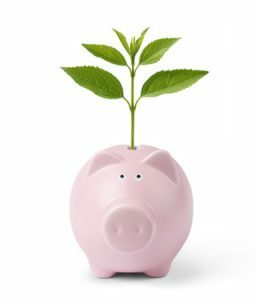 Proponents of donor-advised funds, especially commercial funds, often describe them as “philanthropic savings accounts,” allowing donors to manage their charitable giving in much the same way, and with the same ease, as they manage their household finances. Fundraisers, advocates say, should treat donor-advised funds as simply another means of directing charitable gifts to nonprofits, no different from monthly and annual giving, online donations, bequests, family foundations, or major gifts. Eugene Steuerle, Ph.D., an Institute Fellow and Richard B. Fisher Chair at The Urban Institute and former Deputy Assistant Secretary of the Treasury for Tax Analysis, agrees. Steuerle describes DAFs as “time-delayed philanthropy.” “There’s no economic argument against saving the money as opposed to spending it,” he says. “The main alternative to donor-advised funds is not other charities; it is people consuming money, or else giving money to their children to consume.” Donor-advised funds, he says, is a way for donors to set money aside to spend on others instead of on themselves. Furthermore, Steuerle says, DAFs let donors try things with their charitable gifts that they might not try otherwise, like allowing fund assets to accumulate to the point where they can make larger, more impactful gifts. “It’s a way to get donors to think about giving from their wealth, not from their income,” he says. While high-net-worth donors give from their wills and estates after their deaths, Steuerle says, DAFs allow others to play that game a little earlier. Jason Franklin, PhD, the first W.K. Kellogg Community Philanthropy Chair at the Johnson Center for Philanthropy, agrees. “With the rise of donor-advised funds, you have to treat your mid-level donors more like your major gift donors,” he says. Indeed, DAFs symbolize a change in the way fundraisers think about relationships with tomorrow’s philanthropists, according to Danielle Oristian York, a director at 21/64 in New York City. Until now, she says, fundraisers had the benefit of efficiency thanks to tools such as relationship management software that allowed them to manage donors in the aggregate, while donors were left to deal with the complexities of setting up and managing foundations. However, tools like DAFs have flipped that power relationship on its head; now it’s the donors who have the convenience. Nevertheless, none of this means that the role of fundraisers will diminish. “I think there’s a false fear that somehow fundraisers are losing relevance,” he says. “Donors have always been in control of their giving. The difference is that more donors now have a vehicle for their giving beyond just writing checks.” Good prospect research and stewardship, he says, will meet donors at least halfway. This post was adapted from “Deciphering DAFs: How the Simplicity of Donor Advised Funds May Be Creating Complex Issues for Fundraising Professionals,” by Paul Lagasse, Advancing Philanthropy, Summer 2015 (reprinted with permission). You can read the whole article here.